This week marks the high point of celebration of Christian believers worldwide with recognition of the death, burial, and resurrection of Jesus, the Christ--otherwise known as Passion Week, the final days leading up to the crucifixion and resurrection from death of the Holy One. Although the event took place, with historical and Biblical references validating what happened then, Easter Sunday is still looked upon by Christians as the highest, most significant day of the year. Passion Week (also known as Holy Week) is the time from Palm Sunday through Easter Sunday (Resurrection Sunday). Also included within Passion Week are Maunday Thursday, Good Friday, and Holy Saturday. Passion Week is so named because of the passion with which Jesus willingly went to the cross in order to pay for the sins of His people. Passion Week is described in Matthew chapters 21-27; Mark chapters 11-15; Luke chapters 19-23; and John chapters 12-19. Passion Week begins with the triumphal entry on Palm Sunday on the back of a colt as prophesied in Zechariah 9:9. Passion Week contained several memorable events. Jesus cleansed the Temple for the second time (Luke 19: 45-46), then disputed with the Pharisees regarding His authority. Then He gave His Olivet Discourse on the end times and taught many things, including the signs of His second coming. Jesus ate His Last Supper with His disciples in the upper room (Luke 22: 7-38), then went to the garden of Gethsemane to pray as He waited for His hour to come. It was here that Jesus, having been betrayed by Judas, was arrested and taken to several sham trials before the chief priests, Pontius Pilate, and Herod (Luke 22:54-23:25). Following the trials, Jesus was scourged at the hands of the Roman soldiers, then was forced to carry His own instrument of execution (the Cross) through the streets of Jerusalem along what is known as the Via Dolorosa (Way of Sorrows). Jesus was then crucified at Golgotha (also known as Calvary) on the day before the Sabbath, was buried and remained in the tomb until Sunday, the day after the Sabbath, and then gloriously resurrected by God the Father. It is referred to as Passion Week because in that time, Jesus Christ truly revealed His passion for us in the suffering He willingly went through on behalf of all who believe. What should your attitude be during Passion Week? Be passionate in your worship of Jesus and in your proclamation of His Gospel! As He suffered for you, so should you be willing to suffer for the cause of following Him and proclaiming the message of His death and resurrection, which is the Gospel, or Good News. 11 Now Mary stood outside the tomb crying. As she wept, she bent over to look into the tomb 12 and saw two angels in white, seated where Jesus� body had been, one at the head and the other at the foot. 16 Jesus said to her, �Mary.�She turned toward him and cried out in Aramaic, �Rabboni!� (which means �Teacher�). 18 Mary Magdalene went to the disciples with the news: �I have seen the Lord!� And she told them that he had said these things to her. 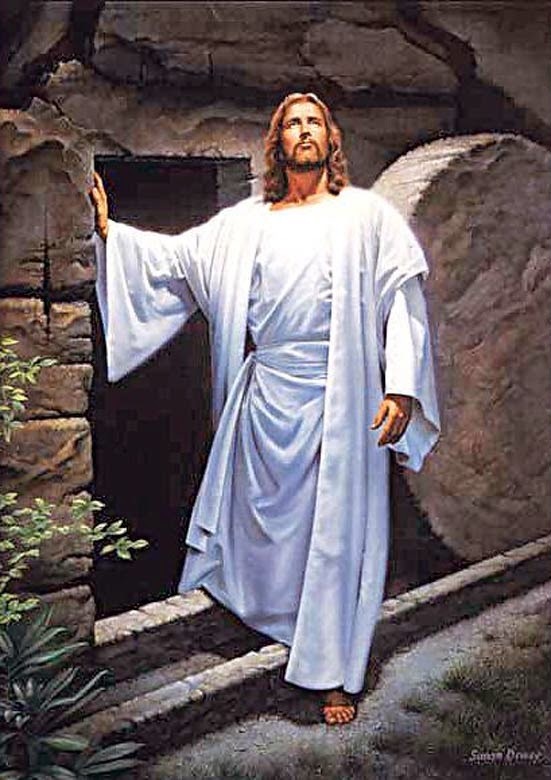 The resurrection of Jesus Christ is the centerpiece of the Christian faith, according to the Apostle Paul, who even says that if Jesus Christ has not been resurrected then the Christian faith is worthless and futile (1 Cor. 15:14-17). Therefore, without Easter there is no Christianity. All those who believe inherit the opportunity to celebrate life after death. As the holiest week of the year is celebrated with Easter as the zenith, find your way to the Passion of the Christ.